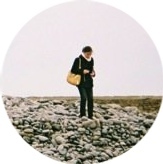 My interview season has finally come to a close and, with that, I'm hoping to get back to writing more regularly. With my commute on top of the normal level of busy for my current job (I've been spending significantly more hours out of the house for work than K at his biglaw firm for months now - many biglaw practice groups have been slow this year) on top of the interviews, I've been worn out. Part of the problem is that I don't think I'm physically capable of fully adjusting to my new sleep schedule. My law firm schedule aligned perfectly with my natural sleep cycle, and moving everything up by two and a half hours has not been fun. I've been on my current schedule for half a year now, and even with the assistance of melatonin, I still have trouble falling asleep every night. This was a fairly low-shopping month, which is proper, in light of last month's dramatic spending. I am now $240.91 over budget for the year (($150 x 4) - $555.98 - $154.21 - $94.79 - $35.93 = -$240.91), compared to last month's $354.98, so I'll need a few more low-shopping months to catch up, but I am on the right track. In other news, I've been seeing a kind of fancy dermatologist, mostly out of curiosity and because, as a short-term government employee, I briefly am in possession of the best health insurance I'm likely to ever have (biglaw firms are not known for robust health insurance offerings). This will probably be the only time in my life that I can justify regularly seeing a dermatologist for fairly routine care. Spoiler alert: The dermatologist prescribed some new medications, but I don't think their course of treatment actually works better for me than my most recent over-the-counter CosRx BHA-centric routine (cheapest on Amazon, see my quick review here). Cortisone shots are miraculous, but imperfect, but those are expensive even after insurance. I haven't been reporting on my skincare purchases these past two months, because they've fallen more in the category of medical necessity rather than discretionary purchase while my skin adjusts to new prescriptions. 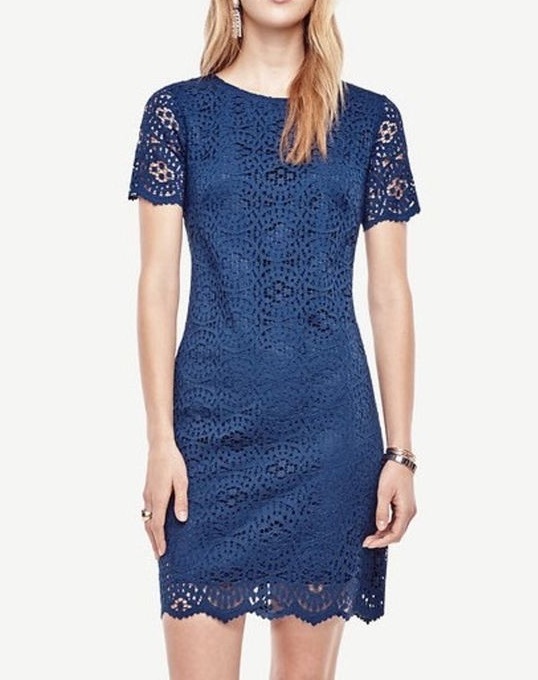 Ann Taylor Mosaic Lace Shift Dress (only one size left) - $35.93 - I couldn't help but snag this dress when it briefly popped back in stock in my size. I actually have another one in a near-identical color (navy blue rather than this royal blue) from late summer of 2015. I loved that one so much, I wanted a back up. I couldn't tell from the stock photos, but the lace pattern on the 2015 version was different, a bit more delicate. The fabric is otherwise the same cotton and nylon blend for the lace with a polyester lining. The dress is quite light and good for most seasons, even summer (though if the lining weren't polyester, it'd breathe better). I also wear the older dress in cold weather with tights, a cardigan, and a coat. Ann Taylor is currently stocking a lace shift dress in this same cotton-nylon blend in bright pink and steel gray, but in a leaf-patterned lace. Note that this dress runs quite large, though it's also a bit short of hem. I normally am a 4 or 6 regular in Ann Taylor dresses, but a 2 regular gets a "just right" fit for me in this dress. Linking up with Franish and the Budgeting Bloggers as usual this month. Please do go check out what everyone else bought this month!